Are you looking for a display act for your show or event? Or are you looking for someone to manage your event? 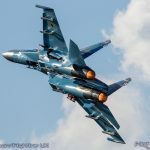 In the directory you’ll find the most comprehensive list of links to UK and european based display acts that regular appear at UK air shows. There is also a list of support and management organisations that can help you put on that special event. The Directory needs your support. If you have a company or display that is involved with UK airshows and is not mentioned here, please contact us ! Finally, a big thank you to all you who have contributed so far. Bader’s Bus Company Display Team – UK’s FIRST Disabled Flying Display Team created by Douglas Bader Foundation and Aerobility. British Aerobatic Academy – The British Aerobatic Academy is the only aerobatic academy in the UK. Adrian Willis is am the chief instructor for the British Aerobatic Academy and can offer dymnaic and exciting displays in either the Extra 200 or Sukhoi Su-29. EZ Display – The Rutan Model 61, Long-EZ is a homebuilt aircraft, designed by Burt Rutan (pronounced “ Long Easy”).Flown by Dan Gay. Dan Lives in Norfolk but is originally from Chicago. FireFlies Aerobatic Team – The FireFlies consist of two Vans RV4 aircraft flown by Pilots Jon Gowdy and Andy Durston performing both day and twilight shows. Stampe Formation Team – The Stampe formation display team is an airshow act in the finest traditions of classical barnstorming aviation from the 1930s and 40s. TRIG Aerobatic Team – The Pitts Pair are a formation aerobatic team based in the UK. They can offer a dynamic close formation display to suit your requirements, be it an Airshow or Private venue. The display offers all the smoke and noise of a modern display act, coupled with the unbeatable character of the 1940′s designed Pitts Special biplane. Twirlybatics – Providing air displays to the South West and further afield! Victors Formation Team – The Victors are a formation team that provides demonstrations with 4 Piper PA28 aircraft. Viper Aerobatics – Viperaerobatics are a group of aviation enthusiasts who enjoy flying aeroplanes and are passionate about flying, competing, and displaying the iconic Pitts S2B biplane. Twilight pyrotechnic air displays have become a firm highlight of many events around the UK and Europe recently. The range of these displays continues to grow with gliders, light aircraft and even helicopters being modified to carry fireworks and LED lighting. Airborne Pyrotechnics / Sydney Charles Display Team – We can offer spectacular, quiet or loud, affordable displays with one, two or three aircraft, for weddings, garden parties and air displays. Blanix Team – The performance by the Blanix-team includes classic aerobatics in addition to the mirror flight, which have to be presented either synchronised or practically in display. The show is supported by some soft music as well as smoke and light effects on the wingtips. Fireflies Aerobatic Team – We are one of the few aerobatic display teams in the world able to offer twilight pyrotechnic air displays, and a display from the FireFlies is guaranteed to be a truly unforgettable experience for your event, be it large or small, day or evening. 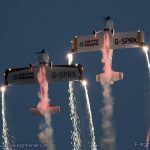 GliderFX – We are offer stunning and unique aerobatic displays in the world’s most exciting aerobatic gliders aided by wingtip smoke and pyrotechinics. Air Leasing Ltd – Air Leasing LTD was founded in 1984 to specialise in the restoration and maintenance and operation of World War II era fighters. Biggin Hill Heritage Hangar – The Biggin Hill Heritage Hangar Ltd is based at the famous WW2 RAF aerodrome at Biggin Hill, Kent. The aircraft we operate comprise of several superb airworthy examples of legendary WW2 Supermarine Spitfire fighter aircraft, each with extensive wartime histories. Bronco Demo Team – The Bronco Demo Team was created in 2010 by a group of OV-10 Bronco enthousiasts, with the main goal to present the Bronco in its natural environment; flying through the sky. Gnat Display Team – The team currently consists of three Folland Gnat T. Mk1 aircraft expertly maintained and displayed at airshows for the benefit of the public to see. KLu Historic Flight – Spitfire IX MK732, B-25 Mitchell, DHC Beaver, Stinson and Fokker F27! Shipping and Airlines – Based at the historic London – Biggin Hill Airport, Shipping and Airlines is the premier light aircraft maintenance facility in the South-East of England. 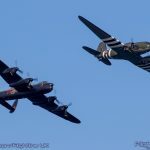 Chalke Valley History Festival – An annual History festival which includes various air displays. Cholmondeley Pageant of Power – Taking place in the glorious grounds of Cholmondeley Castle the Pageant combines speed, nerve and flair with exceptional design and engineering. Since 2007 it has been the ambition of the Pageant of Power to showcase the best of historic and contemporary automotive power, whether on Land, Sea or Air. 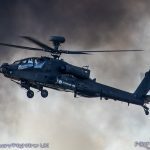 Combined Ops – The Military Show and Vintage Aircraft Weekend – An exciting military weekend with classic aircraft at the historic World War Two Advanced Landing Ground of Lashenden Airfield, now operated as Headcorn Aerodrome, in Kent. Guernsey RAFA/Battle of Britain Air Display – Taking place the same day as the Jersey Air Display is the RAFA show off the coast of Guernsey. Goodwood Events – Goowood Festival of Speed and Goodwood Revival. 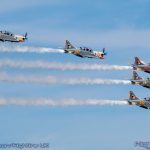 Weston Park Model Air Show – Large model airshow that always features a select group of full sized acts. AVSafe – Aviation Safety Associates offers advice and guidance on a wide range of aviation safety issues. Slipstreamevents.net – Air display and hot air balloon event consultants, supplier & operator of temporary air traffic control systems, suppliers of very high quality sound & music systems, event production, flying directors & ground handling teams.